Scary-Crayon reviews... The Third Doctor & Dalek from "Death to the Daleks" (1974)!!! In our San Diego Comic-Con 2009 want list feature, we highlighted five (technically six, but still) items displayed at the convention that most interested us. We've already gotten and reviewed the top want -- NECA's Street Fighter IV Chun-Li (though not in the secondary color scheme) -- and now the second item on the list has been released! 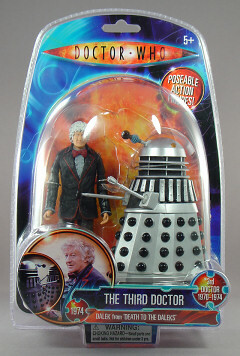 Whofans rejoice: the third Doctor is here!!! Longtime readers of Scary-Crayon will be familiar with our ongoing affair with Doctor Who, which was first featured on the site way back in 2006 with a simple crayon drawing of Billie Piper and an impressively inaccurate Dalek. 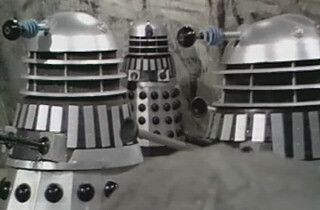 Since then, we've played Dalek computer games, and created numerous homemade Daleks from both shuttlecocks and paper. 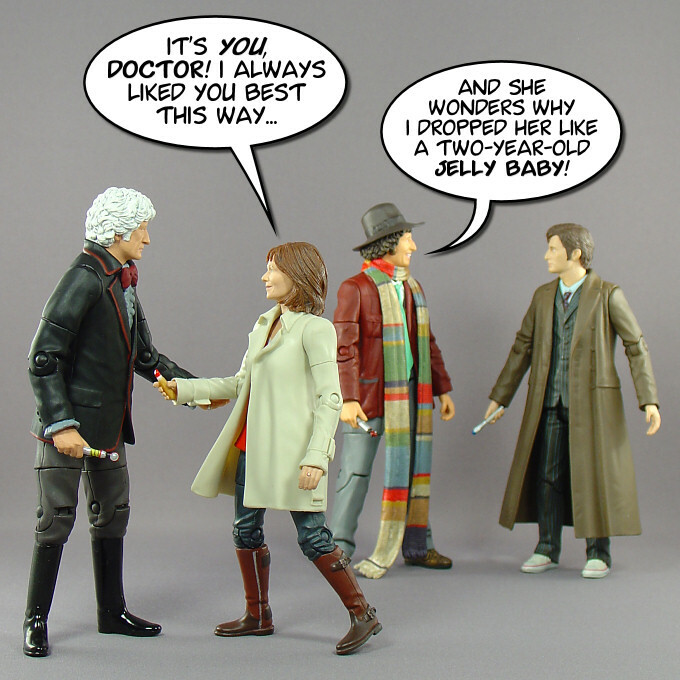 True, our features have focused more on Daleks than the Doctor and his adventures themselves (though there was a two-part toy comic starring the tenth Doctor), but his former companion Sarah Jane Smith has also received quite a bit of love thanks to contributor and avid fashionista Mickey. In addition to detailing Sarah Jane's various outfits in a series of articles (the final installment is yet to come! ), Mick has helped to ensure that viewers around the world can get wasted watching Season 1 episodes of "The Sarah Jane Adventures". Really, how could you not like a guy like that? The third Doctor was sometimes harsh and condescending, but he wore his ideals on his fashionable velvet sleeves -- the guy had the full backing of a military task force and yet repeatedly walked into hostile enemy camps, unarmed, with intent to broker peace treaties and thus prevent further bloodshed. 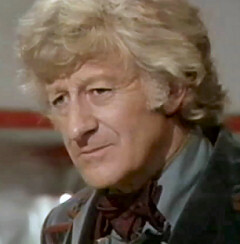 And unlike a certain current Doctor who seemed to regard one companion as his personal slave, the third Doctor actually seemed to care about his -- to the point that, when companion Jo Grant announced that she was getting married (and thus leaving his side) at the conclusion of "The Green Death", he seemed genuinely heartbroken. I consider the Doctor's quiet exit from the party following that announcement to be of the best and most memorable scenes of the entire series. Anyway, the Doctor and Dalek figures in this 2-pack come from a later serial -- "Death to the Daleks" from 1974. I'm not going to include the text from the package here -- you can read about the serial at length on the the TARDIS Index File -- but suffice it to say that it features the third Doctor and one Sarah Jane Smith in the latter's first encounter with those most tenacious of the Doctor's foes. 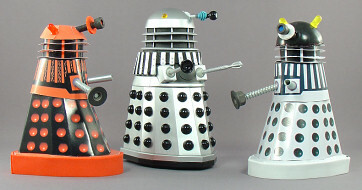 The serial itself wasn't amazing, and the Daleks themselves were hardly menacing (they entered to goofy music and were destroyed incredibly easily; one even had a nervous breakdown and then died because its prisoners escaped), but that has little bearing on the quality of the figures themselves. To find out how those turned out, keep reading! I almost feel like I'm penalizing this set in multiple areas because of the cost, but them's the breaks. Anyway, CLAMSHELLS! I can't stand them, and they're even more annoying on a $40 "exclusive" 2-pack. Adult collectors are pretty much the only people who are going to be buying these overpriced figures, so collector-friendly packaging would be ideal... and yet they come in a bloody clamshell that you practically have to destroy to get at the figures. And while there is a way to remove the figures and still sort of preserve the packaging -- it involves cutting the back of the clamshell so that it folds open, theoretically allowing for easy removal and replacement of the paper insert and interior plastic -- it's pretty difficult to pull off correctly. Why couldn't these things have come in a window box? That said, the paper insert is pretty darned attractive. Blues and oranges are always pretty colors, and the design makes it look as if these figures are coming to you directly from the Time Vortex itself (which they are, sort of, since Jon Pertwee's official tenure as the Doctor ended in 1974). 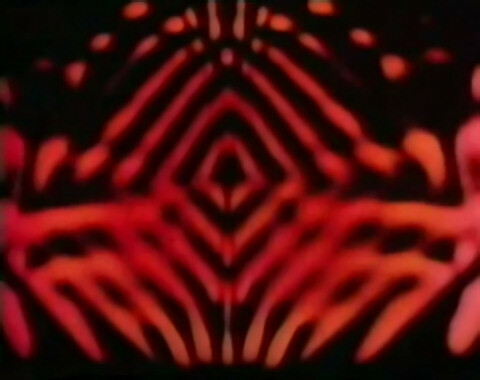 The text at the bottom identifies this as the third Doctor and a Dalek as seen in "Death to the Daleks", along with images from the serial so that you can check the accuracy of the figures against their onscreen counterparts. On the back of the insert, these same images appear larger and are accompanied by a description of the Third Doctor's personality (as seen in the review introduction) and a summary of the serial. Finally, beneath those, there's a row of Time Lord seals that note the numbers and corresponding years of the eight classic Doctors. Admittedly, I'd probably prefer a more classic and less "flashy" design. While this is a highly attractive look, it's more in line with the style of the 2005+ series -- and a presentation more reminiscent of the classic series (that wavy line design would've looked great behind the figures) would arguably have enhanced the nostalgic feel of the product. That's really my only problem with the insert, though, and I'm not docking the packaging for it. All of the point deductions here are for the abominable clamshell packaging -- which is even more disappointing given the high cost and collector-oriented nature of the product. 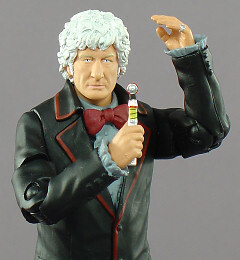 If comparing the figure itself to the image at right leaves you at a loss for words, allow me to state the obvious: this figure is an amazing likeness of Jon Pertwee. I could go on at length about the sculpt as a whole -- the outfit is spot on right down to the Doctor's pinky ring, and details like the ruffles on the Doctor's shirt and cuffs are well done if a touch soft -- but without a great head sculpt this would just be a good-looking figure of a random guy in a classy outfit and nifty riding boots. Now, most of the Doctor Who human figures have been decent representations of their respective actors, and the summer releases of the first and second Doctors raised the bar even higher. And you know something? This figure tops them all. 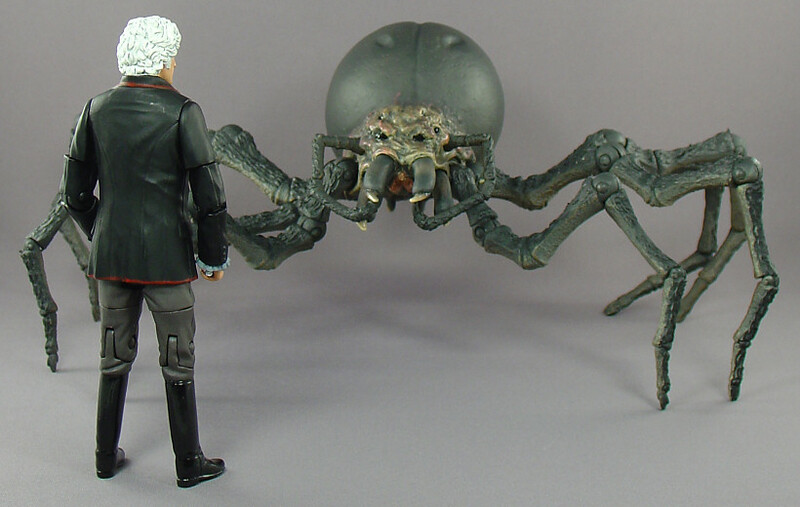 In fact, this figure makes me wish Jon Pertwee were still alive to see it. I'm not even the kind of fan who cares all that much about the actors in real life, but I can just imagine him looking down at his tiny counterpart and grinning from ear to ear -- and, for some reason, that thought makes me smile. This figure makes me smile. Of course, the figure isn't perfect -- even though the sculpt comes damned close. The few missteps there mainly concern the arms, which start out kinda skinny before spreading out at the bicep, and due to the shape of the arm the bicep swivel looks a bit wonky when twisted. I'd rather have that point of articulation than go without it (especially given the lack of swivel-hinged shoulders), but still. There are also two odd areas on the pants that look as if someone accidentally glued tiny shards of plastic to them. Weird. And then there's the paint. It's mostly pretty great, though everything seems a bit brighter than it did in the serial itself -- consider this figure based on a digitally-remastered sunshine cut or something. Again, however, there are a few problems. 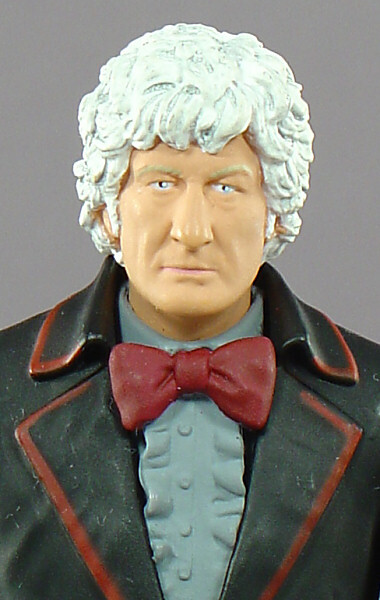 The sculpt has the various lines and creases of Jon Pertwee's face, but the flat paint job minimalizes them. Whereas Pertwee's greying hair had a golden tinge to it, the hair on this figure is shock white with a grey wash -- and whereas the actor's blue eyes seemed darker and conveyed a bit of warmth, the blue irises and large white catchlights on this figure give its eyes an icy look. Finally, the cut lines between certain colors (where the blue wrist cuffs "protrude" from the black jacket; where the black boots begin at the grey pants) and the red line around parts of the Doctor's jacket are a bit sloppy in places (the red line looks particularly messy on the back). 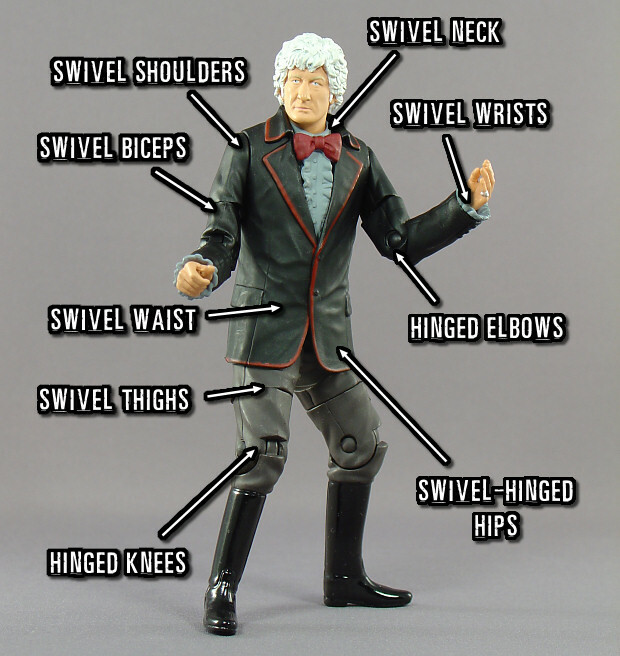 Even with these missteps, the figure still looks great -- and if you look at it from a distance and squint, you'll swear that Jon Pertwee is approaching you from the distance. Depending upon how you feel about Pertwee and ghosts, that could be comforting or horrifying. 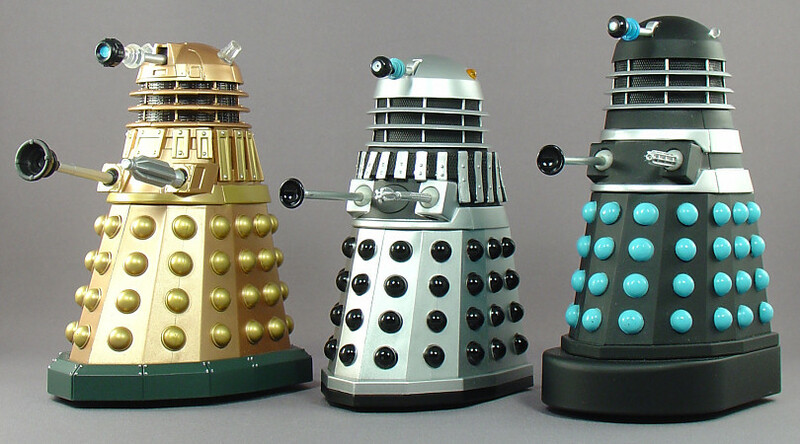 Moving along, let's talk about the Dalek's appearance! 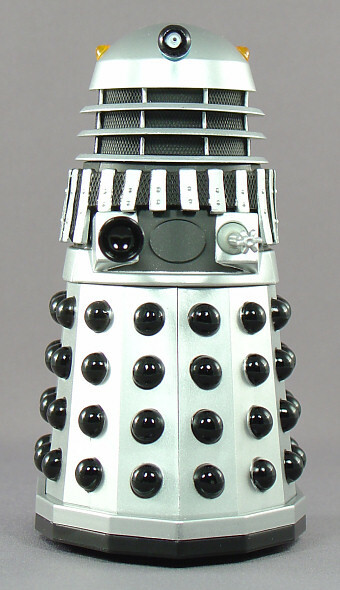 I'm sure there's some obsessed dedicated Whofan out there who will confidently state that this Dalek is only 96% accurate to the screen version -- or something -- but as far as I'm concerned the sculpt is perfect. It's got the right number of Dalek bumps and sides on its base, and, while I didn't bother to actually count the upper slats, it's worth noting that some of them are sculpted at slight tilts instead of being perfectly straight -- just like the actual Daleks in the serial! You can see it better in the angled photos below, but even the figure's dome rings are a teensy bit misaligned. I don't know if that's intentional, and I can imagine some collectors being bugged by it (it's one thing for a prop from a 1970s TV show to sport accidental imperfections and another for a 2009 toy to sport intentional ones), but -- insofar as Character Options meant to do this -- I admit to being impressed at the attention to detail. The only thing wrong with this Dalek has to do with the paint, which is mostly excellent but again has some messy cut lines at the edges of the slats, the eyestalk "bulb," and some of the Dalek bumps. 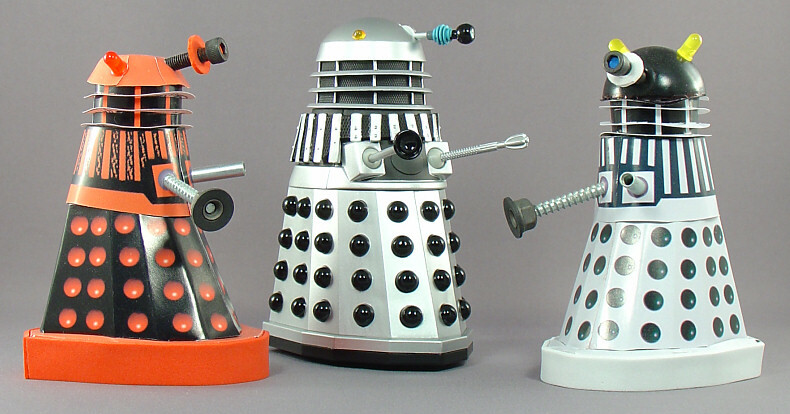 And oh, whereas the Daleks in the serial had clear dome lights, the lights on this Dalek are orange. 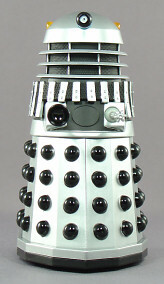 Now, the Daleks' dome lights do light up when they speak, so I guess this Dalek is perpetually talking. It's a chatty Cathy. The Doctor's got a fairly impressive amount of articulation for a 5" figure, and most of his points have a decent range of motion. 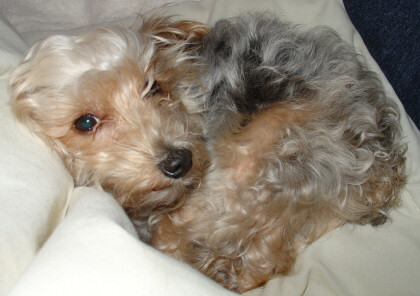 However, due to the shirt collar and jacket, his movement is limited at the neck and waist, and hips. 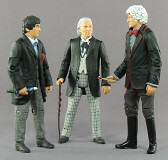 The latter restriction is the most disappointing given that the third Doctor was easily the character's most dynamic incarnation (sure, Tennant does a lot of running and whatnot, but Pertwee routinely beat down humans and aliens alike with his Venusian aikido) -- even double-hinged elbows and knees wouldn't have been inappropriate -- but the figure is still able to take some interesting poses beyond just standing up straight with adjustments to the arms. Even so, I would definitely be more impressed with the Doctor's articulation if he had hinged ankles, swivel-hinged shoulders, and a ball-jointed neck, all of which would have augmented his poseability by allowing for both more stable dynamic stances and subtle tweaks to less exciting poses. I can certainly live without these joints, but their absence does diminish the Doctor's articulation score a bit. 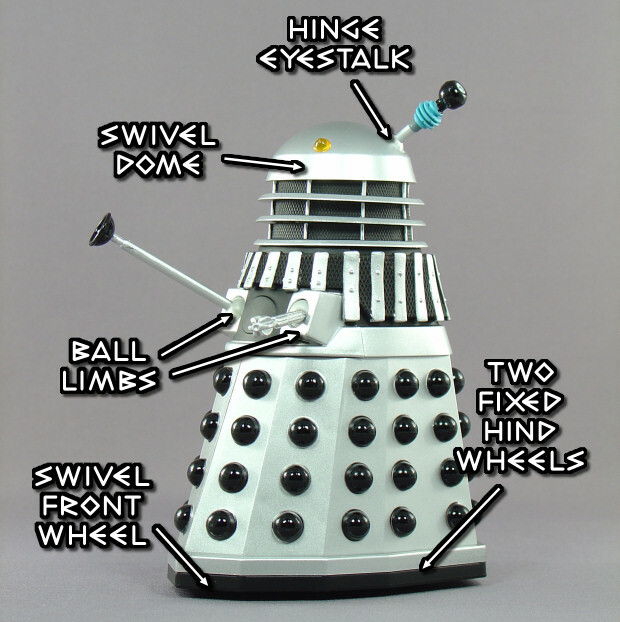 The Dalek, on the other hand, has a paltry four points of articulation, though I guess you could count the rolling wheels on the bottom as additional points. And yet I've scored it higher than the Doctor. Why, you ask? Well, it's a Dalek! Owing to the creature's design, there's not much more articulation it could have. I'd probably have appreciated a waist swivel, and a hinged assembly that allowed the Dalek casing to open would definitely have been desirable, but these aren't glaring omissions -- especially because the Daleks didn't start moving in these ways until the current series. 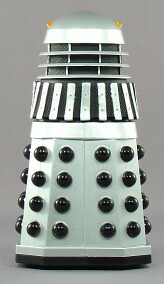 Really, even though it doesn't allow for all that much variety in terms of posing, this articulation model is damned close to perfection for a classic Dalek. The Doctor comes with his sonic screwdriver. That's it. Yes, it's an appropriate accessory for the Doctor, and the paint and sculpting make it a fairly impressive sonic screwdriver for the scale -- and I guess it's accurate to the screen version (not that I'd notice if it weren't) -- but still. You pay $40 for two 5" figures, and all you get between the two of them is a single accessory that's roughly 2cm long and 2mm wide. That is weak. And while some might argue that the sonic screwdriver is really the only accessory that could've come with this set, I disagree. 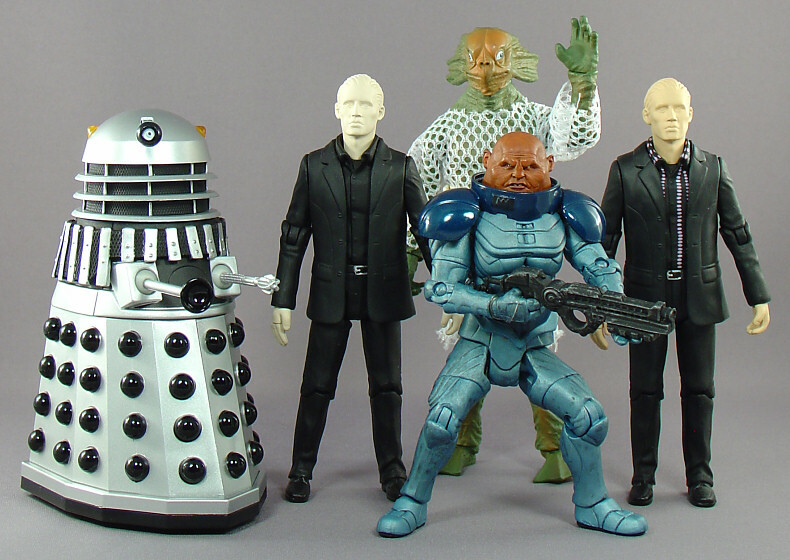 I watched "Death to the Daleks" prior to reviewing the figure in order to take screencaps and reacquaint myself with the serial, and having done so I can think of a number of accessories CO could have included. 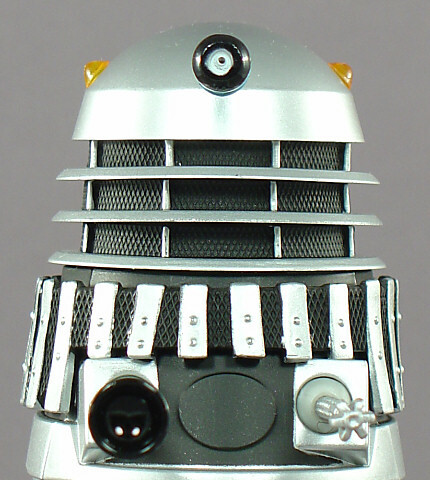 One of the mechanical "roots" that destroyed two Daleks during the story would have been an acceptable inclusion (though it might have needed a smaller neck and some sort of base to work in toy form). 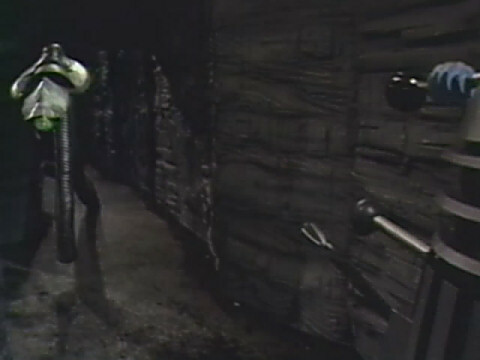 The Doctor and his Exxilon friend took the machine gun arm from one of these destroyed Daleks and used it as a weapon for much of the rest of the serial, so an extra gun for that purpose might also have worked. Heck, since the Daleks initially arrived on the Exxilon planet sporting their standard blasters (those didn't work due to a power drain, hence the switch to the machine gun arm seen on this figure), the Dalek could have come with two interchangeable gun arms. Even some sort of display base or backdrop might have worked. 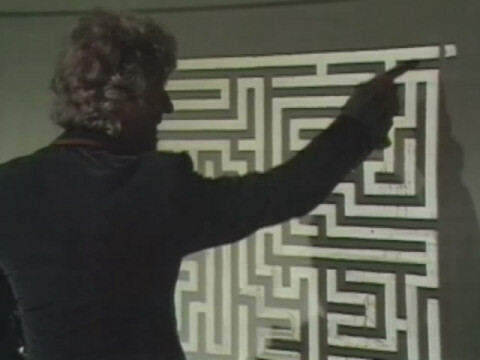 The Doctor and the Exxilon had to solve various puzzles in order to advance into the city, so I can imagine a display base designed to look like the floor puzzle or a backdrop with a maze on it. 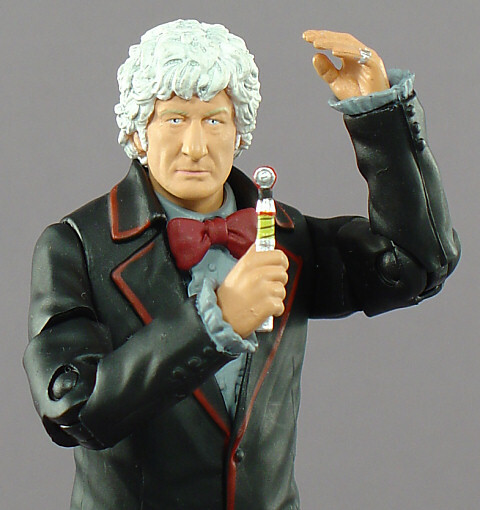 And while the third Doctor didn't wear his cloak in this particular serial, I don't think even the most rabid Whofan would have been outraged if this figure had come with the removable accessory on the side. As it is, there are people buying the 2-pack with the Sea Devil just to get the cloak. I'm nowhere near rich or devoted enough to pay $40 just to get a freaking accessory that could easily have come with this set in the first place, so I'll just have to settle for docking the score heavily here. Despite the shortcomings noted previously -- and the one really major one discussed in the following section; plunking down $40 for two 5" action figures is hardly enjoyable -- I was sincerely tempted to give these figures a perfect score here. 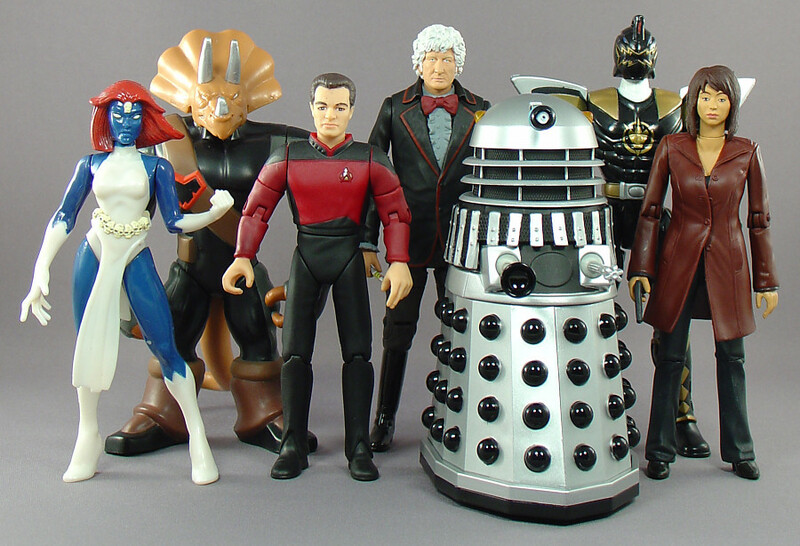 The third Doctor was one of the most fun Doctors, the Daleks are among the most fun villains, and these are fantastic plastic representations of both. It really doesn't get much better than this for Doctor Who fans, and I can imagine collectors having a blast with these figures whether they're the type to pose and "play" with their figures or prefer to stick them in shelved lineups and gaze at them from afar. Unfortunately, my set had a problem that significantly impacted my initial outing with the figures. Now, nothing broke, and neither figure had two right arms or any assembly errors (though someone on the WhoNA forums did receive a third Doctor with the arm error -- and WhoNA promptly shipped out a replacement). But my third Doctor did seem to have a few shiny patches on his jacket right out of the package. Not a big deal, right? I've had figures with a few spots of lingering mold grease on them before, so I licked my thumb, rubbed it across his back, wiped him off on my t-shirt, and began photographing him and his Dalek partner in my light tent. It wasn't until I cleared the "stage" after a group shot that I noticed the stains on the floor of the light tent -- greasy tracks that matched the third Doctor's position in each of the photos I had taken at that point. You can't really see them in the photos because they're either in shadow or under some character's feet, but just knowing that they were there infuriated me. I abruptly stopped the photo shoot short, snatched up plastic Pertwee, and carried him to the bathroom for a thorough scrubbing with a toothbrush and liquid soap. I also did the same with the base of the Dalek just in case -- and since I didn't want to risk the screws rusting, I had to unscrew those, dry them by hand, and set the base aside to air dry separately. Of course, these measures didn't get rid of the stains on the backdrop itself -- and since it's made of some weird fabric that doesn't respond well to spot cleaning, I had to detach it from the tent, give it a thorough scrubbing (making sure to soak the whole bloody thing; otherwise the wet part will look distinctly different from the rest of the thing after it's dried), and then hang it up to dry. Had I not had to do that, this review would've been finished days ago -- and I would've had considerably more fun with these figures. It was comparable to when Bacardi scratches at my door to get me to come out, I pet him and we play a few enjoyable rounds of fetch... and then I go downstairs to find that he's pissed and/or crapped all over the floor. Ugh. Like Bacardi following the subsequent waste-cleaning sessions, these figures are once again enjoyable now that I seem to have scrubbed off all of the mold grease and cleaned the backdrop stains to the best of my ability -- but they would still have been more fun if I'd never had to deal with that in the first place. At any rate, if you get these figures and plan to shoot them against a cloth backdrop (or think they might touch any surfaces that could stain), I recommend washing them first. Scrub those Pertwees thoroughly, children! I like these figures a lot, but they're a terrible value. Yes, I've heard the justifications for their prices. They're limited-run figures (and retailer exclusives in the UK), so that accounts in part for their high cost. Licensing, estate, and other fees are a factor. 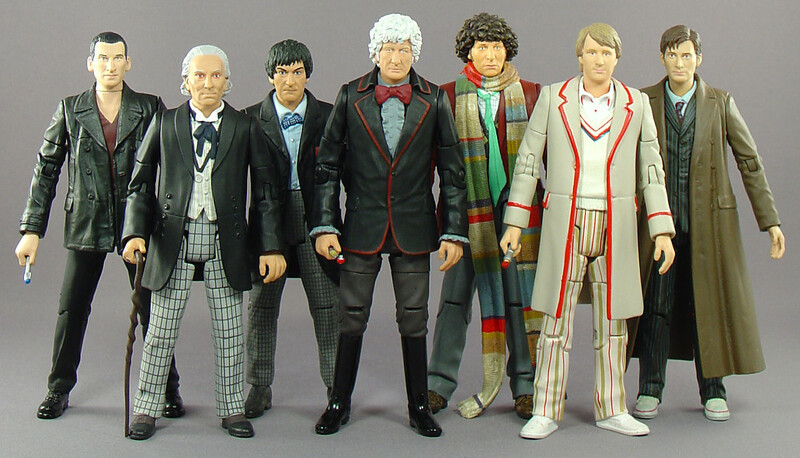 Unlike some lines that rely heavily on part reuse, each classic Doctor is largely a unique sculpt (though different versions of the same Doctor share parts, like the heads and hands, and the second figure in each 2-pack is pretty much a rerelease with minor changes). The paint applications are generally of a higher quality than you'd find on any mass market figure, which is even more impressive considering that, whereas most comparable specialty market figures are in the 6"-7" range, these guys are a touch smaller than that. 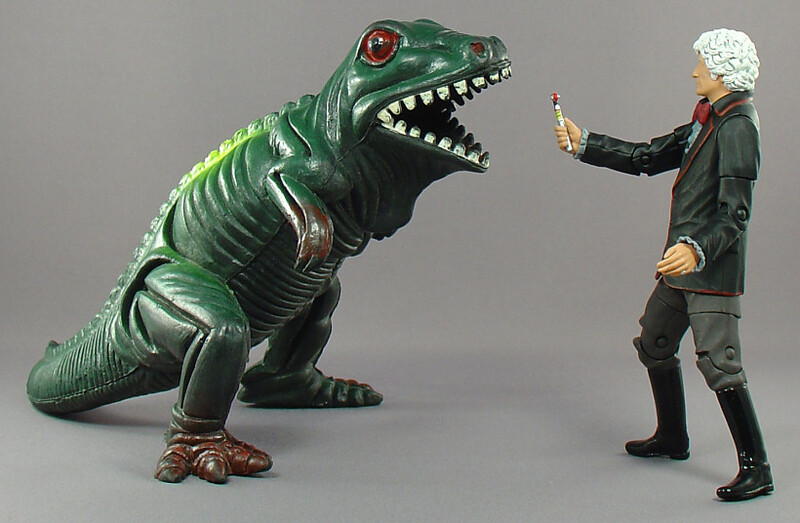 Finally, the solo Doctor Who classic toys cost around $15, so you're only paying $5 more per figure -- and since these are "exclusive" 2-packs, the slight markup is completely understandable. All of this makes sense, but the fact of the matter is that -- for two 5" action figures and one measly accessory in collector-unfriendly clamshell packaging -- you're paying $40 before shipping costs. 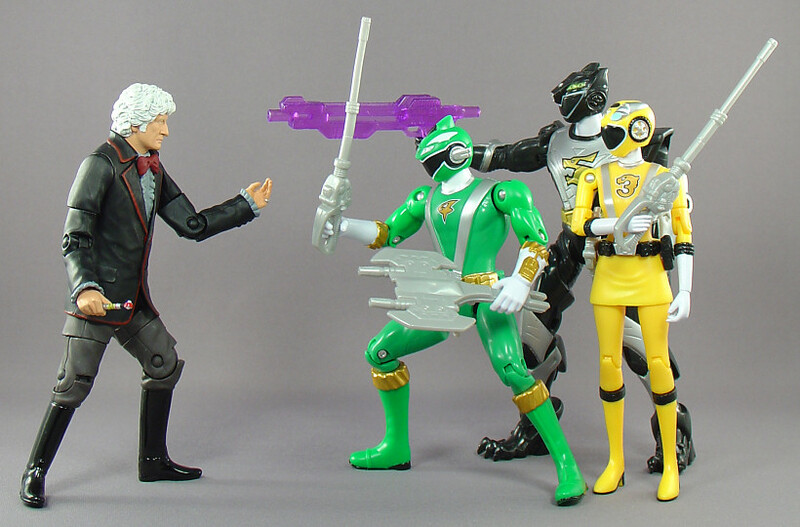 Comparatively, you pay $7 at retail for Power Rangers RPM figures in the same scale. You can get the exclusive Toys 'R' Us 4-packs for $20. 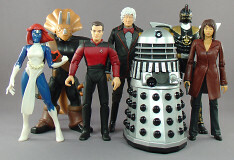 And while the Power Rangers figures lack the detailed sculpts and paint applications and sport fewer points of articulation than the Doctor and crew (though they're actually more poseable due to the lack of restrictive jackets and thoroughly trounce the Time Lord when it comes to accessories), six or eight of them is still a much better value than two Doctor Who figures. I bite the bullet and get these figures because I love me some classic Doctor Who, and they're clearly "worth" the price to me despite my incessant griping, but I'll be damned if I'll tell you that this set is really worth $40. It bloody is not. Attractive insert; nice descriptions of third Doctor and "Death to the Daleks"
Almost every time I've read a review of one of Mattel's Masters of the Universe Classics figures, I've found myself baffled by the author's admission that he is tempted to give the figure a perfect score. "How could you possibly want to give this figure a perfect score," I think, "when you've just admitted that it costs nearly twice what it should?!?" Thanks to this set, I now understand what those reviewers were thinking. As you see, I haven't given the third Doctor and Dalek a perfect overall score -- it's not perfect, after all -- but I've definitely scored them higher than their category scores seem to merit. The packaging isn't great, the articulation (at least on the Doctor) could be better, the accessories are practically nonexistent, their fun score was significantly impacted by the third Doctor's greasiness (seriously, unless it's ecto-plasm or mutagen, no toy should be staining fabric), and they're a terrible value... and yet I still like them an awful lot. Aside from the greasiness, they're everything I expected. No, they're more, since I didn't think the Jon Pertwee likeness would be this good. If you bought these figures, I have no doubt that you're satisfied. But see, that's the thing. I reviewed these figures because I wanted to spotlight some Doctor Who figures on SC -- and because I hope my photos and analyses and rambling asides are interesting to even people who have no interest in the toys themselves -- but I'm guessing that, if you're at all interested in these figures, you already have them. As action figures, it almost doesn't matter how good or bad they are: they're made for collectors who will buy them almost regardless of quality, and even at ridiculous prices, just because they're Doctor Who figures. 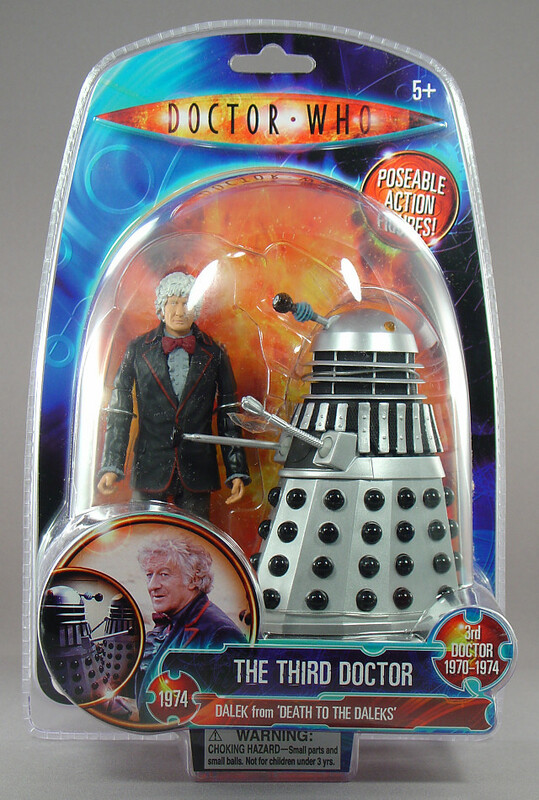 It's worth noting that Character Options will soon be releasing a third third Doctor set -- presumably at the same $40 price point -- sporting the torso from this figure and the legs from the Sea Devil Doctor. Instead of a second figure, this Doctor will only be packaged with three maggots. 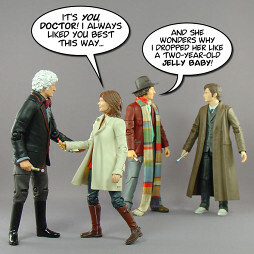 It's almost like some kind of sick in-joke on the part of the toymakers, but I can assure you that dedicated Whofans will buy it. 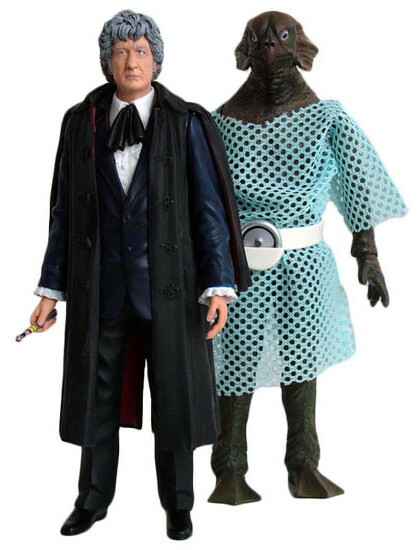 And like I said, if that's you -- or if it's not you (I don't want that set) but you're deep enough into Doctor Who and action figures to have been keeping up with the classic line -- you probably already have this figure (or the Sea Devil Doctor). If you're not into Doctor Who at all, even if you find the line and these figures somewhat intriguing, don't start here -- go for the cheaper new series figures (the werewolf is amazing) or get yourself some Power Rangers instead. But if you really want a third Doctor and Dalek set and didn't get the memo, at the time of this writing it's available at Who North America for $39.95. It's listed as out of stock at Impulse Creations, but the Sea Devil set is still available for $39.99 (with free shipping for orders over $60). (There are other sites that have the figures for sale, of course, but I can't vouch for them. WhoNA and Impulse will treat you right.) In any case, $40 is really about the maximum amount that you should be paying for either set. If they sell out in the near future and you find yourself faced with $50+ secondary market costs, pass.